Top Herd's Honey Mustard Pork Jerky is one of the all time great combos. Premium lean pork is tenderised in a honey mustard marinade for 12 hours. 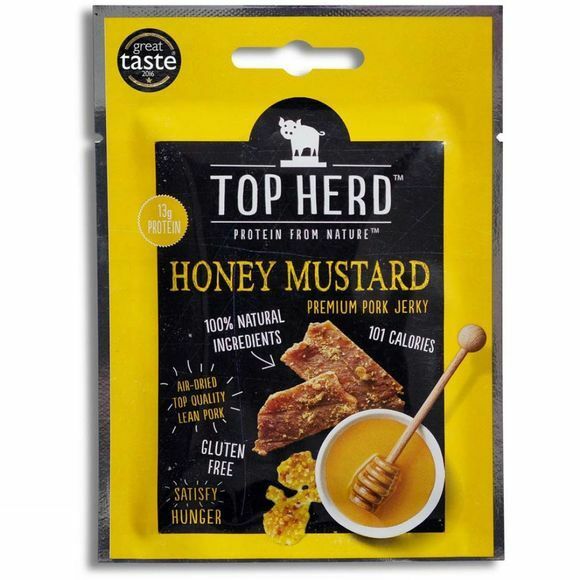 Looking for something sweet, but want to avoid the sickly nature of a protein bar, then look no further for our Honey Mustard Pork Jerky is a sweet alternative. Its a high protein, healthy snack, that makes a great alternative to your usual protein foods.